Do Siri job postings point to expansion of the personal assistant? It looks as if Apple is preparing to expand its virtual personal assistant Siri, as the iPhone maker posted a dozen Siri-related job ads over the weekend. Apple began advertising on its jobs portal over the weekend for new positions related to Siri that range from "Siri Software Engineers" to a "Siri Interaction Designer" and a "Siri Monitoring Architect." Apple hasn't announced anything regarding Siri, but given the talent that the company is looking to bring on board, it seems the old girl is about to get better. The listings themselves also provide a glimpse, if an uncertain one, at Siri's possible future. Siri had a lot of promise when she hit the iPhone scene, but her crow's feet and split ends quickly began to show through her shiny, commercial facade. Apple began posting job listings in January that pointed to some improvements for her virtual personality. The latest job listings hint at even further improvements and expansions. One asks for Hadoop engineers "to implement, support, and maintain large-scale infrastructures" for Siri. A Siri speech operations engineer would "take part in building and managing some of the world's largest server deployments" that "will have the potential of directly and immediately benefiting millions of Apple customers." Siri software engineers will "contribute to the next big revolution in human-computer interaction" by, among other things, "[improving] Siri's accuracy." Meanwhile, Siri interaction designers "will contribute to extending Siri's capabilities, knowledge, and intelligence, helping invent new techniques for conversational interaction." 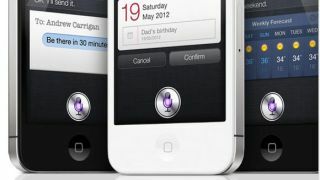 What's really in Siri's future? Based on the job listings it seems Apple will soon begin working to improve Siri's accuracy (a much-needed effort) and add new functionality, though we can't currently guess what that might include. Previous rumors have claimed that Siri could wind up expanding beyond the mobile realm to Mac OS X, but nothing in these Siri job ads seems to hint directly at that direction. One thing is for sure, though: Siri is here to stay.